When organizing a closet, it's fairly obvious where to store the shirts, skirts and slacks. But how do you keep smaller accessory items like handbags and dress shoes neat, organized, and especially, accessible? Our friends at NAPO (National Association of Professional Organizers) have been sharing all sorts of how-to information during this month of January in recognition of their annual "Get Organized Month". 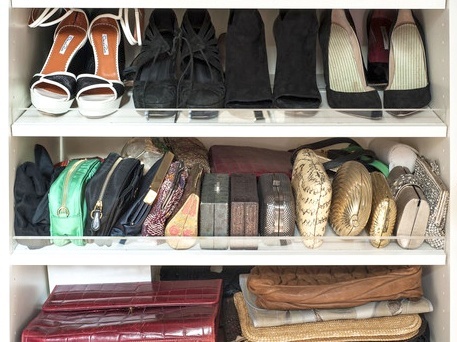 One such article by Clos-ette caught our eye -- How to Store Bags and Shoes. It's filled with good, common sense tactics for keeping your purses, hand bags, heels, and flats orderly and ready for wear.